Virtual reality (VR) is poised to disruptively change our jobs and lives -- one of many things I learned after a demonstration on how Ford Motor Co. is using VR technology today and its vision for the future. VR is a computer-generated, 3-D environment. The sensation of being inside a 3-D environment is truly weird. Your brain knows it is not real, but your senses are telling you it is. In one demonstration, the Ford team sat me in a chair connected to VR technology. I was shocked when I began experiencing motion sickness from the VR-generated sensation of soaring around 3-D office towers inside a futuristic urban vehicle. My brain kept saying: 'This is not real. I am sitting in a chair.' My senses were convinced otherwise. That is where VR is today. For laypeople, VR is a cool amusement and not much else. Now imagine being able to actually drive a vehicle through VR. That is where we are heading in terms of our lives, economy and the environment. Ford demonstrated how its team uses VR manufacturing technology to increase human productivity and safety on the assembly line. The process begins with the accumulation of big data generated by placing full-body, motion-capture sensors on a manufacturing employee. When he or she executes an assembly line task, the body motion sensors covert the movement into digital data. This digital representation of human motion is then inserted into algorithms of human ergonomics best practices -- which identify actions that come with increased risk for injury or can be re-engineered to increased productivity. For example, a human picking up an object and raising it above eye level creates injury risks. It is also inefficient. Ford uses VR tech to identify, and then engineer, alternative actions by humans and machines. The results are impressive. Ford claims reducing employee injuries by 70 percent. This was achieved through a 90 percent reduction in overextended movements, difficult hand clearance and hard to install parts. Deployment of VR manufacturing technologies has also reduced days away from work due to injury by 75 percent. The auto giant is using VR to hold meetings to engage associates across regions and disciplines. For example, Ford's design team members are located around the world. They now conduct meetings in a VR-generated, 3-D environment. They collaborate using a 3-D car image that is as visually real and detailed as seeing it in person. Even better, the VR technology allows for each car part to be viewed in the same detail as if it were laying on a table in front of the team. Ford is also using VR to accelerate executive decision-making. 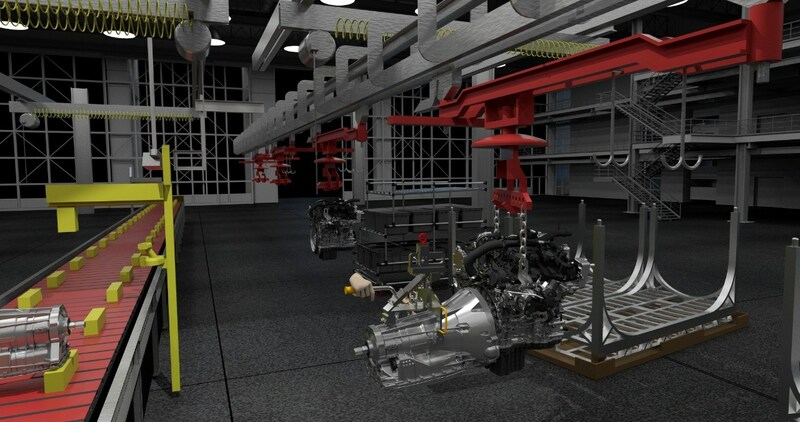 When a vehicle’s design is ready for senior officer examination, this can now happen in a virtual reality environment -- which speeds up approval time. This VR communication and decision-making process is slashing Ford’s product design times while also increasing innovation. And the automaker has moved design and decision making from the speed of clay models to the speed of electrons. It is only a matter of time before VR’s declining costs and increasing capabilities reshape what humans do, how we make money and our impacts on the environment. Travel. VR will compete against the travel and hospitality industries for business travel. Today’s business travelers will be able to engage co-workers, suppliers or sales prospects through tomorrow’s VR environment without travel costs and time commitments. Product demonstrations in VR will be even better than in the physical world, because every component part will be available for 3-D examination without disassembly. Office. Why go to the office if you have an office avatar you can use from your home’s VR-enabled chair? Imagine no more commuting. In fact, imagine working not in a urban city, but from your lakeside cottage. Disruption defines Earth in 2017. Human consumption tied to 20th-century technologies has generated global warming and a national weight crises. These costs are constraining economic growth and causing illness, injury and death. 21st-century technologies like VR are poised to solve the problems created from using 20th-century methods. VR can accelerate economic growth by lowering costs and increasing productivity. Learning, enabled by VR, can also make us safer. And integrated into our work processes and lifestyles, VR can reduce pollution. But disruptive technologies like VR, artificial intelligence and the Internet of Things will also challenge our social system. Their destructive change impacts will both create and destroy jobs. Their destructive change impacts could end up further dividing us between those who benefit and those who are crushed. Fundamentally, the challenge of Earth 2017 is not technology. The challenge is human behavior. The truly disruptive question is whether as humans we can use technology advances to the combined benefit of people, planet and profit.